At the beginning of 2015, new job opportunities got me leaving London and heading back up to the city I call home: Liverpool. I hadn't lived there for almost seven years and absence certainly made the heart grow fonder because over the past year, I've completely fallen back in love with the place that I know so well. On my travels across the world and in the UK, I've never come across a city quite like Liverpool. It's rich with culture and history, and its people are fiercely loyal. The shopping is great and you're spoiled for choice when it comes to restaurants, museums and art galleries, but for me it's the small places full of character that make Liverpool what it is. The foodie scene has massively improved over the past few years, and I've spent much of the past year exploring everything the city now has to offer. You'll find all the chains - Jamie's Italian, Pizza Express, Gourmet Burger Kitchen etc. - in the main shopping area Liverpool One, but give them a miss if you want a real taste of the city. Just a short walk from here you'll find Bold Street - the independent street of Liverpool - full of incredible little restaurants, bars and cafes. Use this as your anchor to the equally as good streets around it; Seel Street, Berry Street and Hope Street, and you won't go wrong. Just off Liverpool Central station you'll find Bold Street. Ignore the shops towards the bottom (unless you have a massive urge to visit Home Bargains) and walk up towards the top. You'll find everything from independent book shops to award-winning hairdressers and gorgeous interiors shops (a trip to Utility is a must), but it's the selection of eateries that makes it a must-visit for me. Mowgli - This only opened this year but it has queues out of the door most evenings. The whole concept is small plates of Indian food - Indian tapas if you will - and it serves some of the best Indian food I've ever tried. It's also contemporary and stylish; definitely not your average curry house. They currently don't take bookings so go and put your name down (whenever I've been, it's been about an hour wait) and go next door to Leaf for a drink while you wait. The Italian Club - Authentic, fresh Italian food that's cheap and cheerful but definitely doesn't sacrifice quality. This is a good place for a hearty meal or a slice of cake and a coffee after a day of shopping. If you're into seafood, head up the road to their sister restaurant - The Italian Club Fish. East Avenue Bakehouse - Another newbie, East Avenue Bakehouse is great for brunch, Afternoon Tea or a slice of cake. They serve bigger meals and dinner too, with a British-based menu that I'm yet to try but it always looks good. Everything's fresh, homemade and locally-sourced too. 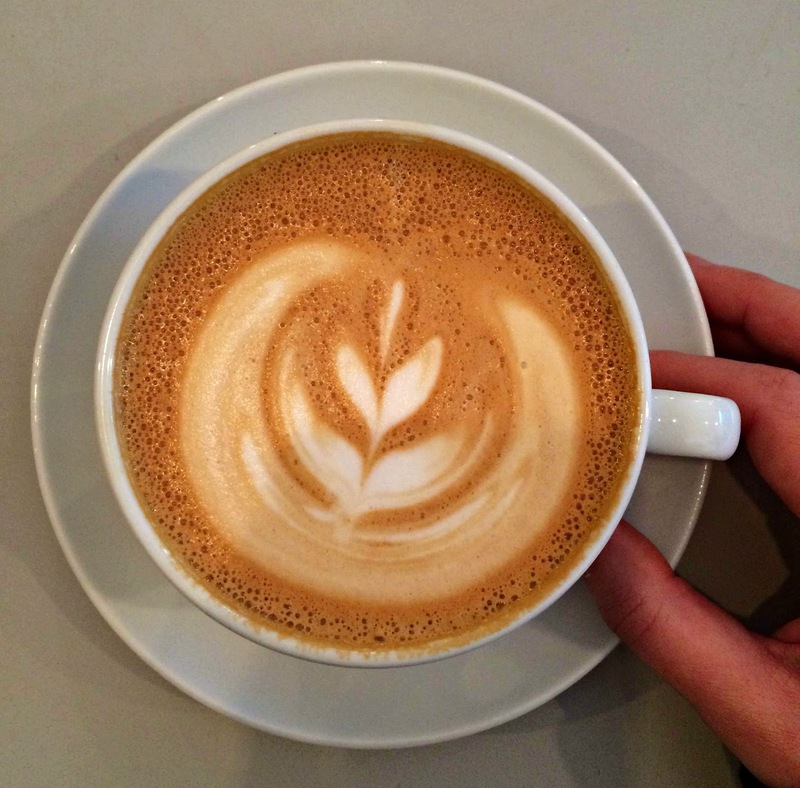 Bold Street Coffee - A must for anyone who loves coffee. Bold Street Coffee serves up fresh, specialty brews and will give you a much better cup than anything you'll find in Starbucks. They offer up cheap breakfasts and lunches too if you want a bit of food to go alongside your latte. Bakchich - A fast food-type joint serving up very generous Lebanese food. This is a good place to go if you want a quick bite but don't want to compromise on good food; it's popular though, so you may have to wait a bit if you go at a busy time. Word of warning - if you want a glass of red with your chicken shish go elsewhere; Bakchich doesn't serve alcohol. Alma de Cuba - This place is a restored old 18th century church so the inside is gorgeous. It's a really popular bar at the weekend (if you go, make sure you're there at 11pm when rose petals fall down from the ceiling) so I'd say avoid it then if you want to go for a meal. The menu has South American and Caribbean influences and the food is incredible; they serve up a mean Sunday roast too. Arts Club - Another building dating back to the 18th century, the Arts Club re-opened in 2014, becoming one of the best gig venues and art spaces in the city. Even if you're not going for an event, the Bar & Kitchen is a great place to go for a drink or a bite of American-influenced food. The gateway to Liverpool's China Town, Berry Street is a whole other side to the city. To be honest, I haven't tried many places along here but there's one place that's definitely a must-visit. Roja Pinchos - Nope, not Chinese, but a small restaurant serving northern Spain-style pinchos in a totally relaxed setting. You can eat (and spend) as much or as little as you want so it's great if you want a full-on meal or a quick bite. They don't take bookings for less than six people so head downstairs to sister bar Abajo for gin and cava if you find yourself having to wait. Last but not least, Hope Street. Up in the gorgeous Georgian Quarter (worth a visit for looking at the old houses alone), Hope Street is flagged by both of the cathedrals, has the Everyman theatre, Philharmonic Hall, and some of the best restaurants in the city. Don't miss the Philharmonic Dining Rooms either; it's a real old-school pub dating back to 1900 and is a Grade II listed building - plus the inside is incredibly ornate (people visit just to see the gents' which is full of roseate marble - honestly). London Carriage Works - Slightly pricier than the other places I've mentioned, but this place does incredible food and wine and is definitely a good place to go for an occasion. A lot of the produce is locally-sourced, with the menu being a mixture of British and Mediterranean-inspired food. Host - A pan-Asian restaurant with a really relaxed vibe, this is one of my favourite places to go pre- or post-theatre. The food is incredible and completely effortless; essentially, it's a much better version of Wagamama. The Quarter - Technically not on Hope Street but as good as (you'll find it on the corner of Falkner Street), The Quarter comes from the same people behind Host, with a similar easy vibe. The food is contemporary and Italian-inspired, plus they serve up a great breakfast. Want to see how Liverpool has changed over the years? Check out Travelodge's piece on Evolving Cities - Liverpool, covering everything from the Albert Dock and the Liver Building, to The Beatles and modern-day hidden gems. There are new places popping up in the city all the time so I could go on forever but for now, this is my definitive list. A big thanks to Travelodge for asking me to write this post and finally getting me down to putting this guide together; if you visit Liverpool and try any of these places, please let me know! http://windittight.com/alexander-mcqueen/ Love reading your blog.